Sea travel gave me fits. I once asked my brother, a former naval office, how long it would take to sale from Ostia, Italy to Genoa in 1820 for a work in progress. His answer? That depended on the weather, the wind, the time of year, and the type of ship. Darn! Didn’t ship travel run on schedules like railroads? No it did not. Clearly I had much to learn. The first time my brother helped me winkle out plausible travel times. How could I manage all the legs of my hero’s journey in Dangerous Weakness? from a caravel (Columbus sailed with both in 1492). Don’t even get me started on Schooners and Clippers. Once you scratch the surface the amount of technical data is enough to drown a romance novelist. I had to limit my research to identifying ships in use in the Mediterranean during the first two decades of the 19th century. I did figure out that “frigate” referred to warships of various sizes and kinds, and that “ship of the line” referred to large warships developed to maximize broadside firepower from cannon mounted below decks. 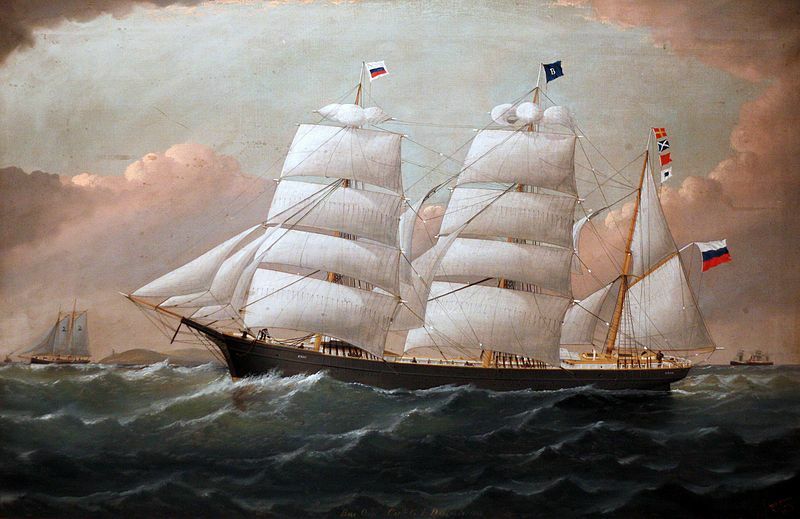 “Packet” designated a mail and message ship. Since timeliness mattered and they could be presumed to be, at least in some cases, lighter than military vessels, I presumed the Gibraltar Packet to be fast. I found so much overlap, however, that I could not estimate the likely speed of a fictional ship without burying the reader in technical detail. I settled for plausible identification for types of ships and their uses. I elected to not use galleys (as employed not only by corsairs, but also the French, the Spanish, some Italian states and others), which were the most maneuverable, and in some situations fastest, at least in the relative calm of the Mediterranean. I decided they would complicate a story that was at heart a love story, not a seadog saga. The next issue had to do with ports. Various parties in the story sailed from Portsmouth, a primary navy port, and some from Falmouth, the primary commercial port in England. 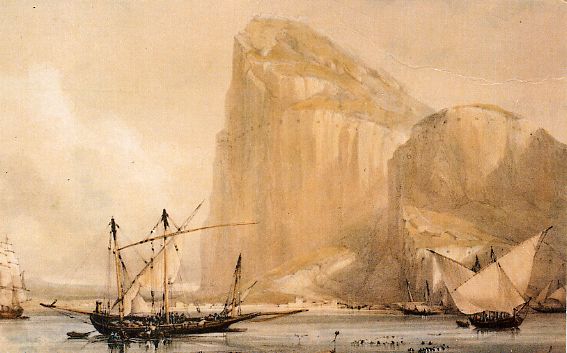 The key British bases in the Mediterranean were Gibraltar and Malta in 1818 when the story takes place. Both served military and commercial purposes. I wanted my hero to reach Constantinople by way of Thessaloniki. He resorted to fishermen for help with parts of this. Barbary corsairs, on the other hand used a variety of hidden ports and coves along the North African coast. 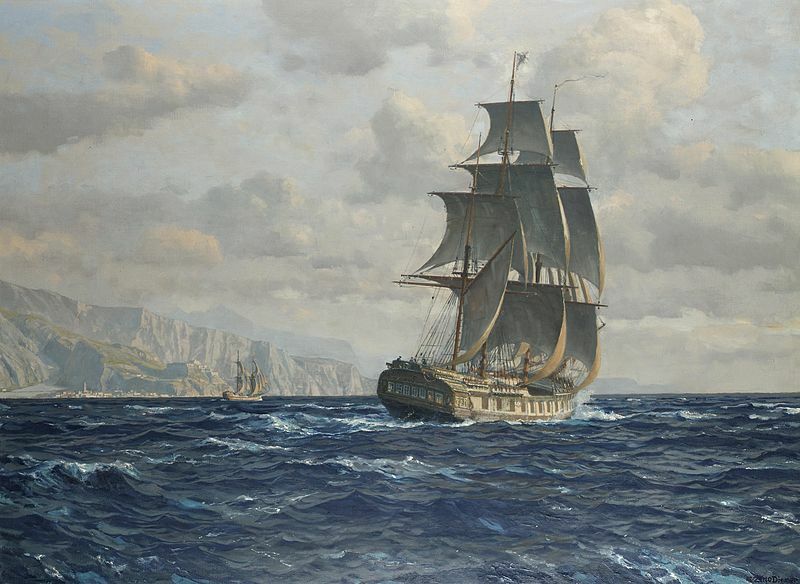 For purposes of this story I gave the corsairs a fictional anchorage on a fictional island. It was close to Algiers, however, for figuring distance. With all of that on the table, I needed plausible times for parts of the story. Readers, I assumed, didn’t need it spelled out to the day, but the timing had to look possible. Again, a friend helped. Jude Knight had run into similar questions in her work. She came up with this chart of possible travel times and posted her findings. The times are ranges to allow for weather, tide, time of year, and type of ship. I am in her debt. Jude suggested naval buffs take a look and comment, but none did. I think this may be conservative. Eight knots appears to be a common speed for ships of the era. I found reports of them making the 1374 miles from Portsmouth to Gibraltar in 8-10 days, but of course the Atlantic winds are far more reliable and powerful than those in the Mediterranean basin. For my purposes these were plausible enough. The timeline worked itself out. Events unfold without unduly confusing the reader, I hope. You will note I used the word “plausible” several times. When historical fiction describes actual events the writing must be accurate. When historical fiction describes fictional events the writing must be at least possible if not likely. My goal as a writer is to present the story in such a way that the reader believes what I say. If he or she puts down the book and says, “That could never happen,” I have failed. Did I succeed this time? Read the book. Tell me what you think. Thank you for the hat tip, Caroline. I had set my timeframes, and I needed a battle for my secondary character to be wounded in. But all available battles earlier that year had been too far away for him to be in England by the time my story started. In the end, I had to posit a diplomatic mission, and an excursion to view what became one of the nastiest battles of the entire Napoleonic wars. Glad my researches could help someone else. Being a historical author means being a historian. I’m so impressed by the amount of research you did to make certain you got it right. I have a book idea that’s been percolating for years, but the amount of research needed for it has overwhelmed me to date. I want to get it right, or not do it at all. Congrats on your new release, Caroline.